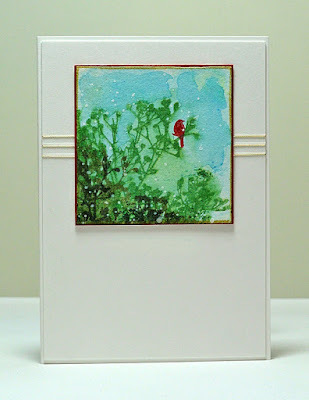 Here is a fun way to transition a wintry stamp set into a floral garden. The branches were stamped along the bottom of the rectangular cardstock and then the snowflakes were used for flowers. 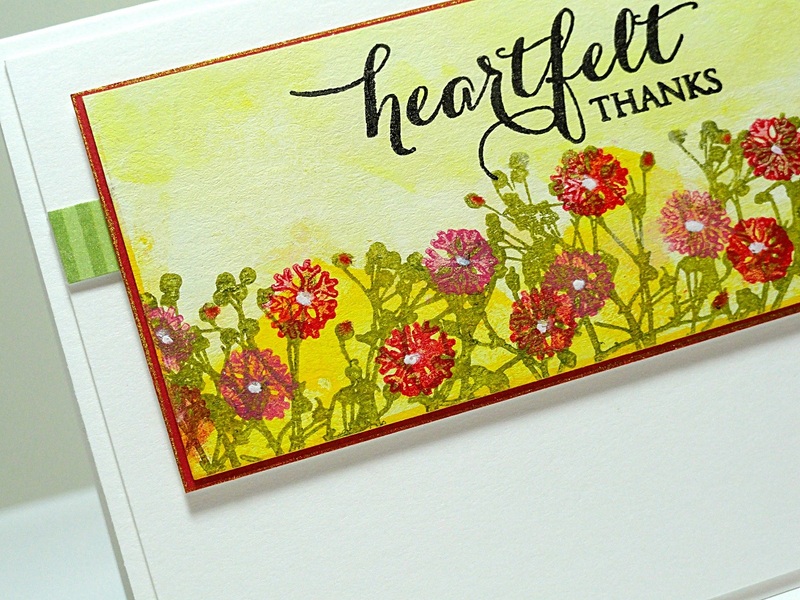 Even a small strip of Christmas striped paper is seen as a refreshing spring accent. Complete instructions and supplies are available HERE. Here is another idea. 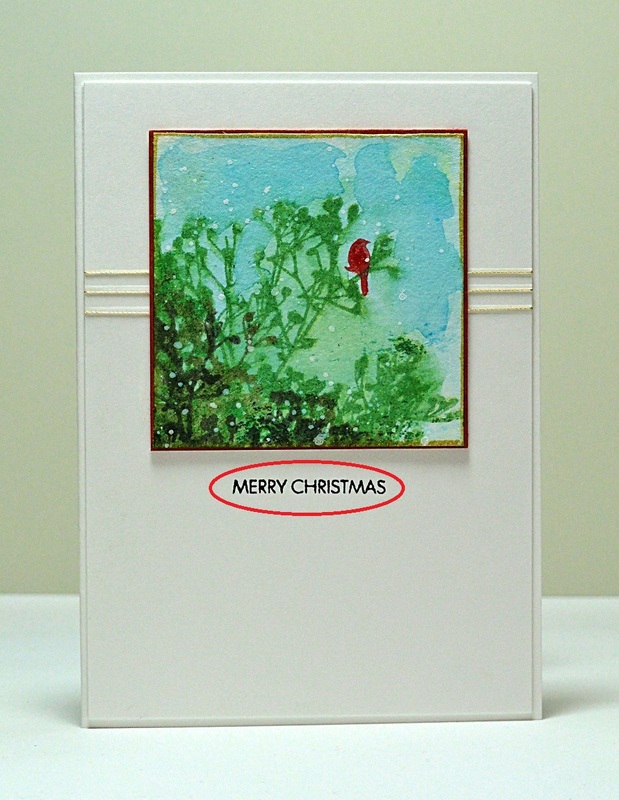 This Christmas design is easily CASED into an everyday card. Just omit the holiday greeting and leave blank or add one of your choice to fit the occasion. 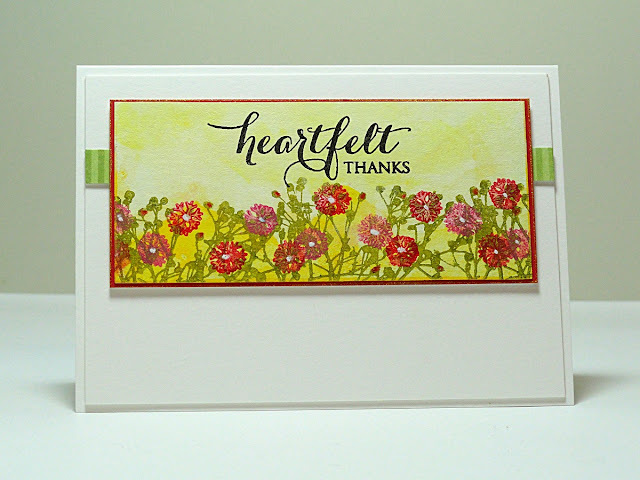 A thoughtful sentiment stamped on the inside will also set the tone of the card. Take it a step further and use paint "flecks" of a different color to reflect the current season. Stay tuned for more fabulous ideas from Jill to stretch those holiday stamps throughout the year.